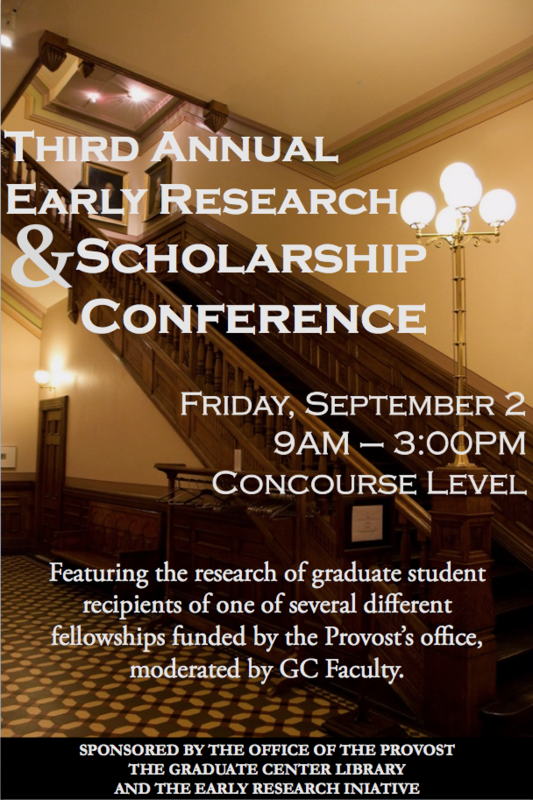 The Graduate Center’s Third Annual Early Research and Scholarship Conference (formerly the Archival Research Conference) features student recipients of one of several different fellowships funded by the Provost’s office: the Knickerbocker Award for Archival Research in American Studies, the Award for Archival Research in African American and African Diaspora Studies, and the Pre-Dissertation Summer Research Awards. Panels moderated by Graduate Center faculty. The conference is free and open to all. Jaime Coan (English), Benjamin Adam (Sociology), Melina Moore (English), Thomas Muzart (French) Who Leads the Movement?